One way that you can be a friend is by helping other children. William and Jeremy want to do nice things for other children at the playground. 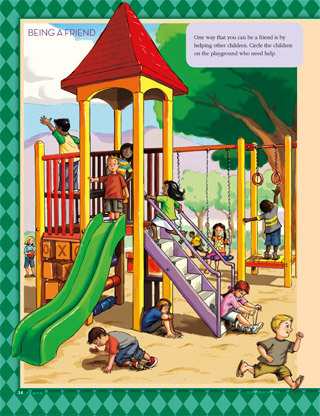 Circle the children on the playground who need help.